Passionate and self assured, for the woman who knows what she wants from life and how to get it. Kroko's high quality Italian calf leather manicure sets combine a unique crocodile pattern with a lustrous surface, for an enticing, hot look. 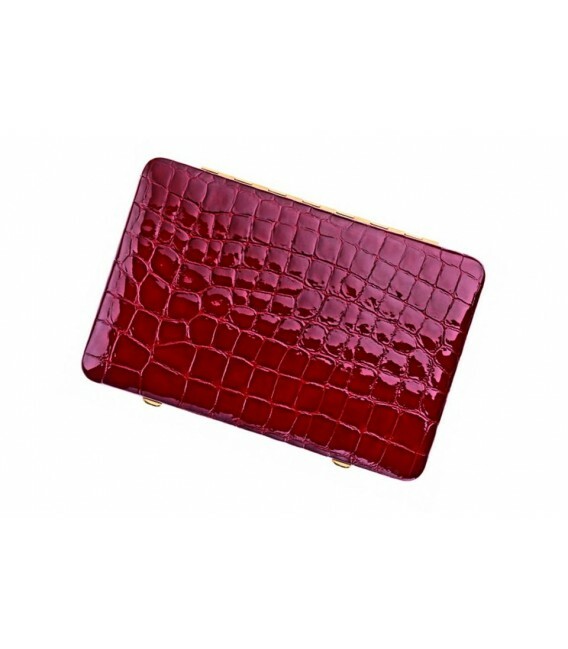 Calf leather with a beautiful crocodile pattern and a lustrous surface. 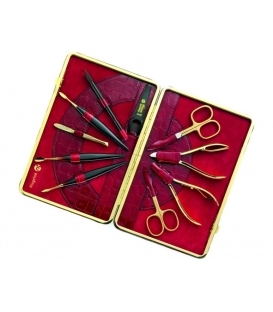 Our variety of manicure sets meets different requirements, tastes and desires: elegant and hip, cheerful, natural and distinguished. Characteristic for all sets is the carefully selected choice of genuine leather which holds and protects our top quality Solingen instruments. 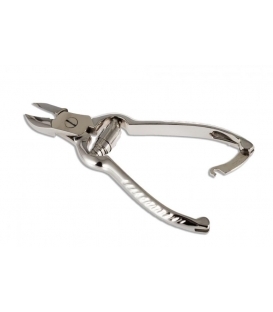 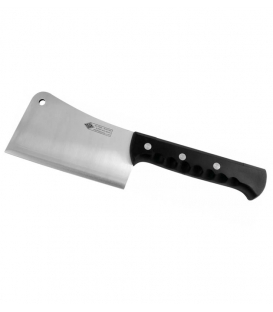 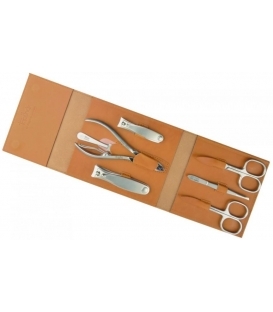 Superior workmanship of sets and implements guarantees a long lifetime for the benefit of our clients. 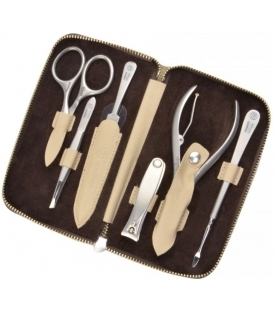 From now on, we will ship all our manicure sets in a new, high-quality gift packaging – of course you will get this gift packaging for free with your ordered manicure set. 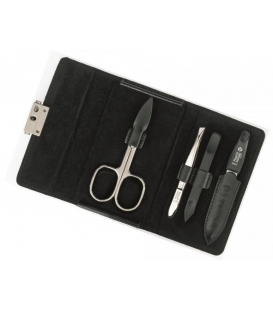 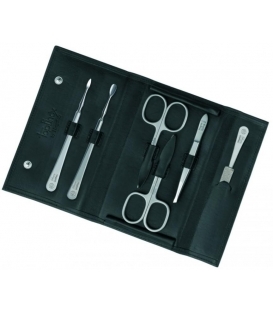 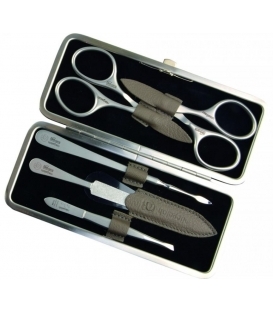 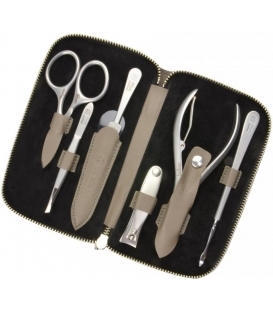 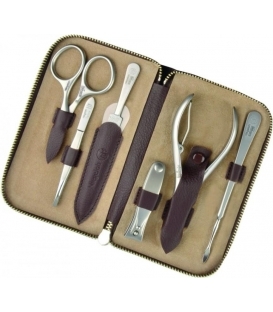 In contrast to our other models this manicure pedicure set is only available in a black gift box! 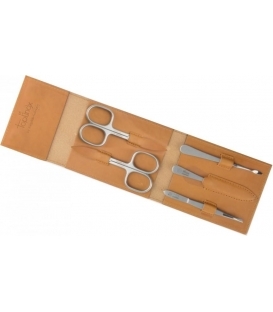 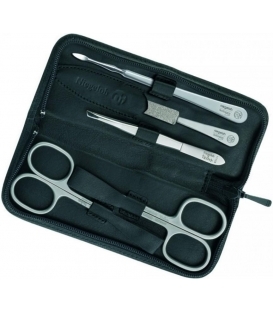 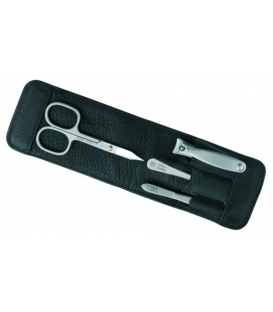 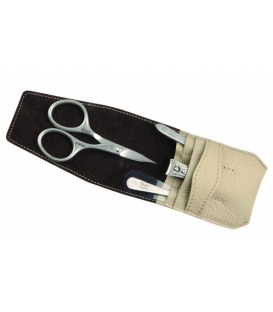 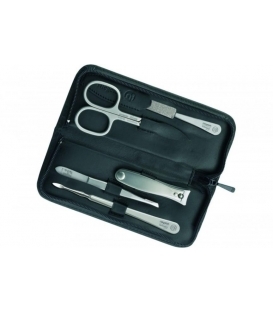 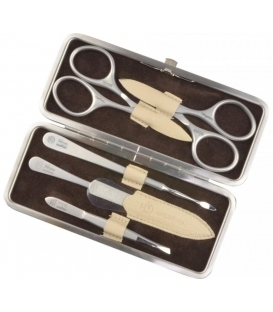 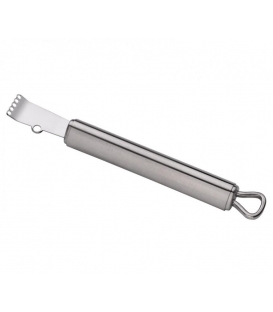 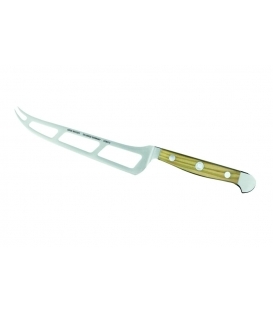 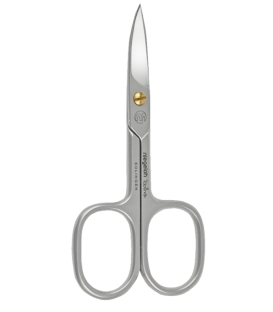 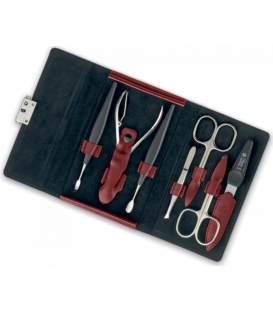 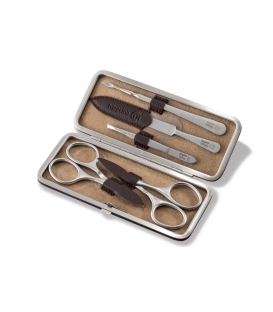 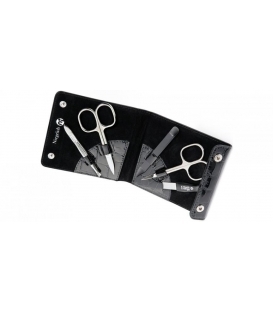 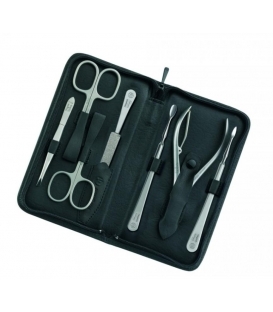 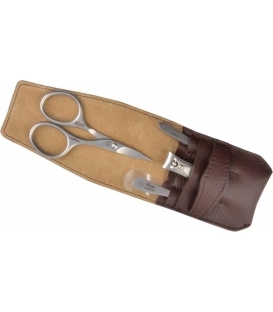 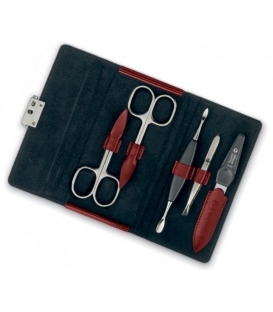 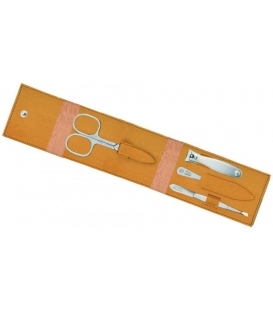 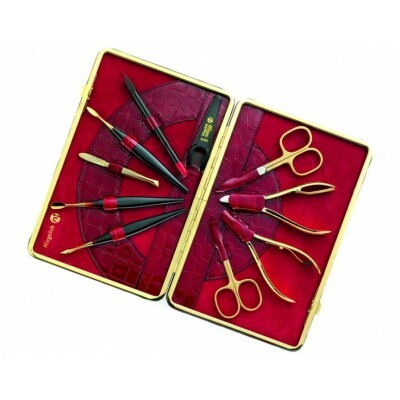 Manicure set Havanna, caramel S, 5pcs. 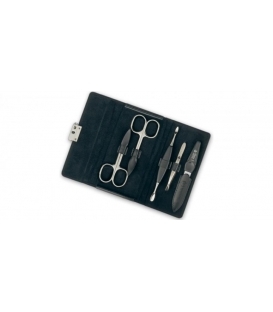 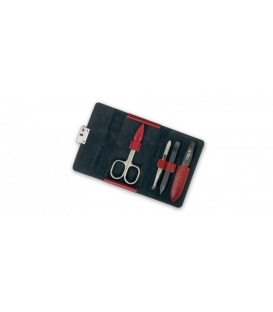 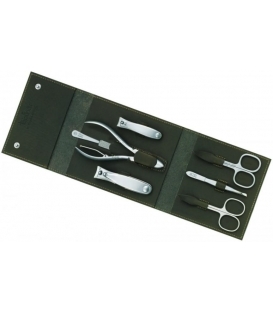 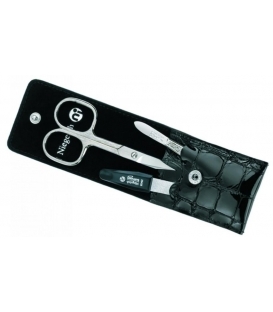 Nail Set Kroko, black, 3pcs.